The Golden Gate Bridge will celebrate 75 years of existence this May 27 with the Golden Gate Waterfront Festival. The festival will be held over a four mile length from Fort Point to Pier 39. The festival will begin at 11am and end with fireworks over the bridge around 9:30pm. The bridge officially opened on May 27, 1937 with a celebration that lasted a week. The bridge is named for the Golden Gate, the entry way into San Francisco Bay from the Pacific Ocean. 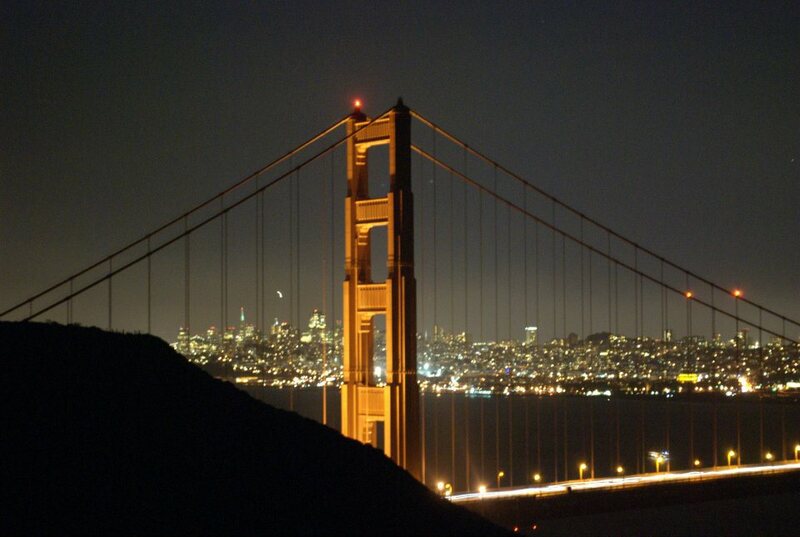 The bridge became an instant landmark and is recognized around the world as a symbol representing San Francisco. The official color of the bridge is Golden Gate Bridge International Orange. The bridge is continuously painted as painting is one of the major maintenance jobs on the bridge. When the bridge opened it contained the longest main span for a suspension bridge in the world, a record it held until 1964. Driving is not the only way to get across the Golden Gate Bridge. Visitors can also walk or bike their way across or just make a stop at the gift shop or cafe. Visitors can even pass the time admiring the gardens. The pedestrian sidewalk is also accessible for wheelchairs. For more information and updates on the anniversary festival, check out the official festival website. 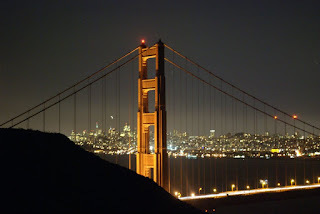 For more information about the Golden Gate Bridge, visit the bridge website.